Well, that was fast. 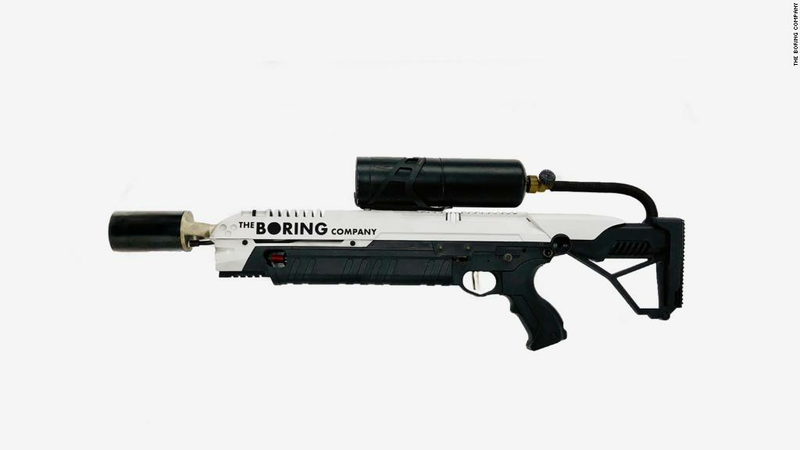 Elon Musk claims to have sold out of flamethrowers in just four days. The Tesla (TSLA) founder said on Twitter that he would stop taking orders for the $500 devices after selling 20,000. The goal was to raise $10 million for his tunneling business, The Boring Company. The Boring Company, founded in 2016, has plans to create a network of underground tunnels to ease traffic congestion. Musk, who is known for provocative antics, first mentioned plans to sell a flamethrower in December, and repeatedly plugged the idea on social media. The Boring Company insisted the flamethrower is safe. "Much like a roller coaster, this is designed to be thrilling without danger," a company spokesman said in a statement. Musk had advertised the flamethrowers as "guaranteed to liven up any party," drawing a huge reaction online. "When the zombie apocalypse happens, you'll be glad you bought a flamethrower," he tweeted on Sunday. "Works against hordes of the undead or your money back!" The flamethrowers will start shipping in the spring, according to The Boring Company's website. Musk said in a tweet that each flamethrower would be dispatched with a complimentary fire extinguisher. The Boring Company previously sold 50,000 hats for $20 apiece in 2017. The business is privately funded. Not everyone is amused. Miguel Santiago, who serves in the California State Assembly, said he would file legislation to block the stunt. "We've now seen some of the worst wildfires in California's history, so handing out flame torchers for $500 is a really bad idea and bad public policy," he said. -- Julia Horowitz and Bill Burke contributed to this report.